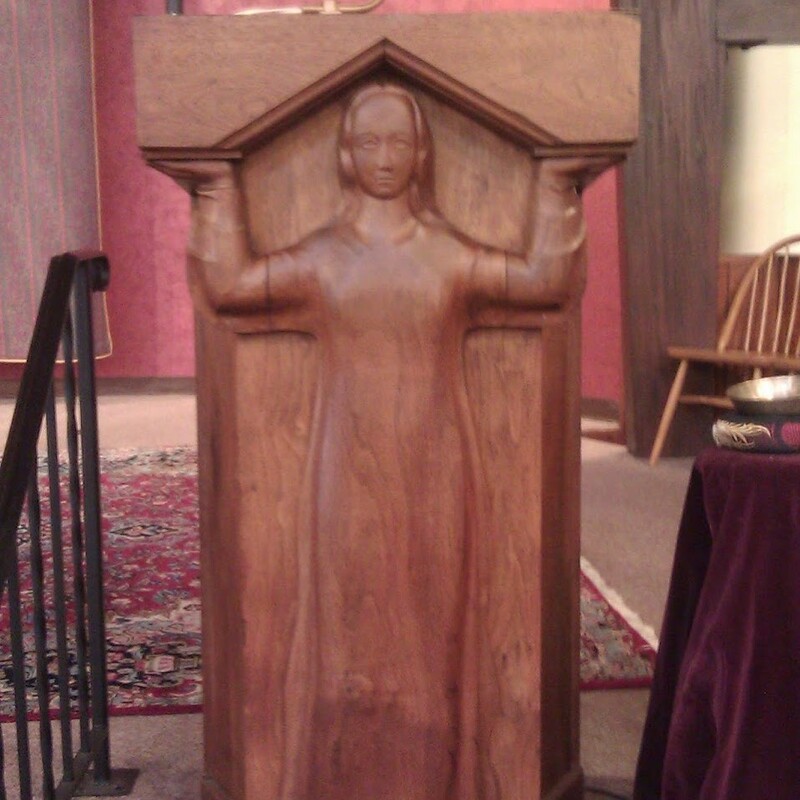 The Spirit of Truth image has stood before her White Plains congregation for over 80 years, on the front of the pulpit I have occupied for less than four of those years. 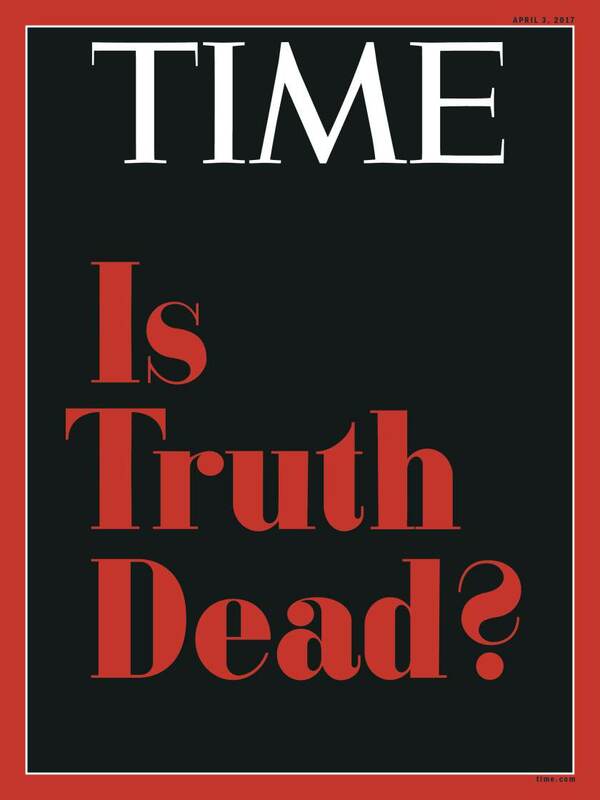 I admire the equanimity and equipoise with which she assesses all that comes within her purview -- including, this week, a Time magazine cover asking, "Is Truth Dead?" 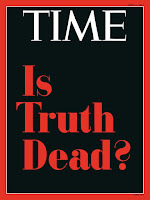 -- using the same red letters on a black background as Time's 1966 cover asking, "Is God dead?" In 1966, Unitarian Universalists were mostly intrigued by the Time cover. Few of us were bothered by the suggestion that God may be dead. (Many of us were familiar with Nietzsche's "God is dead" claim.) This time, however, knowing, as we do, what prompts the magazine's question, it does bother us. There are such things as facts, and they deserve our respect. While we can never predict with detailed precision all the effects of a given policy, attention to the general direction of the evidence is vital for building "a land that binds up the broken." We need the truth, or our most careful and rigorous attention to the evidence, of who and what is broken, where, and how badly. In our fallibility and finitude, with brains built for confirmation bias rather than for truth, we can never be sure when the Spirit of Truth is smiling upon our words. What we can do is pursue unflagging fidelity to the evidence, with a vigilant attention to where our own biases may be leading us down paths of misinterpretation. No, we can never be sure that Lady Truth is smiling upon our words, but with a humble commitment to the evidence, we can at least have confidence that Truth isn't tearing her hair out -- nor has she succumbed to her abusers. As long as there are those who elevate the question, "What does the evidence say?" over the question, "What does my ego want to believe?" then Truth is not dead. I know the truth, it liveth. We need the truth, or at least careful attention to real evidence, to speak to power, for power will not concede on its own. We need the truth, especially when the evidence is surprising, does not confirm what we thought. We need the truth, not because it sets us free all by itself, but because it gives us hope that the oppressor’s story is not the only possibility. We need the truth because energized by that hope we can then take action and make ourselves and all the children of the Earth free. 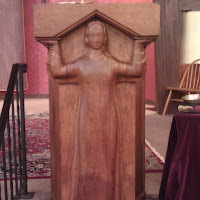 Dear Spirit of Truth, may we be thy faithful servants. 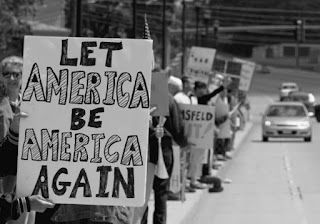 If truth is dead, then so is hope, for all that would then be left would be the narrative of power's self-justification. 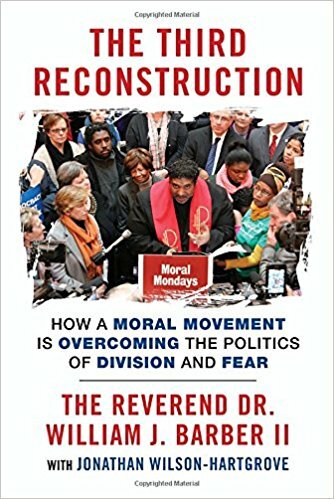 Looking for sources of hope -- disruptions of the Oppressor's Tale -- I read William Barber, The Third Reconstruction. Barber sees the current time as one of possibility and hope for significant new progress toward justice against those forces that oppress the poor and the darker skinned -- a third period of reconstruction in US history, following the first Reconstruction in the post-Civil-War years and a second reconstruction in the Civil Rights Era of the 1950s and 60s. Barber's book is the 2016-17 Common Read selected by the Unitarian Universalist Association. For an introduction to the reality we face, and the sense of hope for transformation, Langston Hughes' 1935 poem remains resonant. About 120 pages later, at the end of his short book, Barber affirms the hope that has run throughout his story. Truth is not dead. And as long as she lives, America may yet be born. This is part 1 of 3 of "The Third Reconstruction"